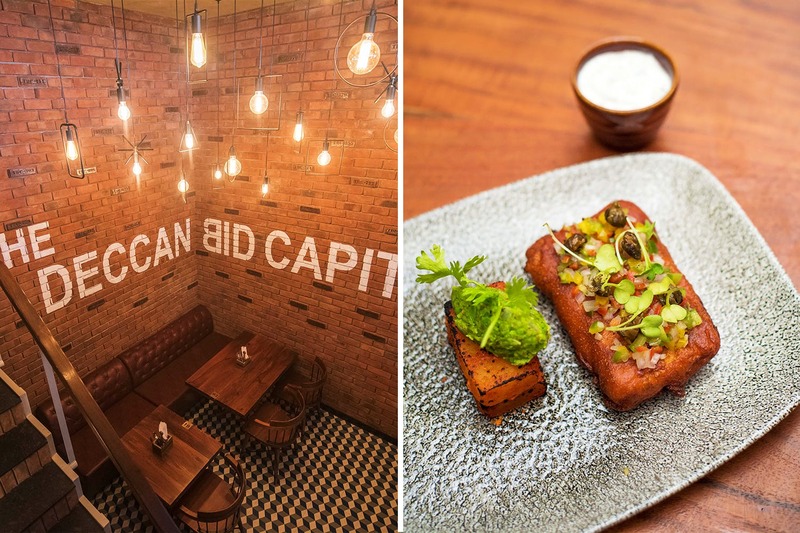 Revolutionising the concept of budget-friendly dining-and-drinking in the city is the newest entrant on Ghole Road, off FC Road – The Deccan Bid Capital, a one-of-a-kind cafe and bar in India that lets you bid not only on alcohol but food too. Sounds interesting? Read to know more! As The Deccan Bid Capital by Shravan Shetty opens its doors today (July 2) to the public, one thing that is certain is it’s going to take Pune by storm. Why- you ask? For starters, the restaurant has gone way ahead of its time to incorporate a paperless environment. This means, from menu cards to bills, everything is digital and hi-tech. Secondly, The Bid Capital is the only place in India where you can bid on food along with your alcohol. However, here’s something you must keep in mind. While you can bid on individual drinks, you cannot bid on individual dishes. For food though, the bidding is applicable on the total food bill generated. So, how does it work? The Bid Capital app administers your overall experience; right from assigning a server to managing your bids, placing your orders, generating bills and even booking your Uber if required. Albeit, the deal is that you can bid, only if you have a table. In short, no table, no bid! Over and above the regular bidding war, another concept that’s quite intriguing is the hyperbid which happens once every hour for about five minutes. During this time, alcohol prices slashed down extensively to make your party more fun and tipsier. For instance, if you’re paying INR 150 for a beer pint, you might land up paying somewhere between INR 70 and INR 80 during the hyper bid. So, keep your eyes glued on those screens and bid till you drop. The ambience at The Deccan Bid Capital is extremely relaxed, raw, well-lit and spacious. The interior has an effortless blend of rust and earth which can be seen on the bare-minimum bricked walls, wicker chairs, plush wooden tables, low-hanging lights and monochrome flooring. The cafe also has an al fresco setting, decked up with foliage and potted plants for a fresh, breezy feel. Complimenting the gorgeous decor is TBC’s eclectic food and beverage menu comprising various global cuisines. The appetizers that won us over were tempura prawns tossed in black bean sauce, paneer quinoa salad in teriyaki dressing and basa-en-pappiote, which is basically fish fillet wrapped and steamed in banana leaves, and served with bok choy and fennel salad. For the main course, we loved the mild yet flavoursome Sri Lankan curry served with fragrant jasmine rice. The rosemary chicken is another dish that’s worth a try. The meat was succulent, juicy and exquisitely marinated in cream, cashew nuts, rosemary butter and cheese. While we absolutely admired the plating of our initial courses, TBC’s extraordinary desserts took it million levels higher. Our favourite was the tiramisu, a culinary brilliance that looked like a flower pot made of Mascarpone, a tinge of Kahlúa and brandy, and melt-in-mouth Savoiardi biscuits dipped in decadent coffee syrup. Up next was the quirky little red delicious that looked like a beautiful apple made of crème bavaroise, apple confit and had a royal red glaze, enough to melt all hearts. We hear their deadly LIITs, coffee cocktails and alcoholic frappes are something that you definitely need to look out for when you visit The Deccan Bid Capital.